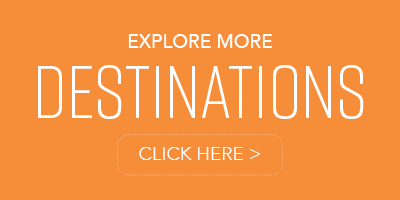 Arrive in Mallorca, and be whisked away to your home-away-from-home for the next week. After settling into your chosen charter yacht, enjoy your first evening in the beautiful old town of Palma, the capital city of the Spanish island of Mallorca. Palma overlooks the sparkling blue seas of the Mediterranean, and this is where your luxury yacht charter Balearics will begin. 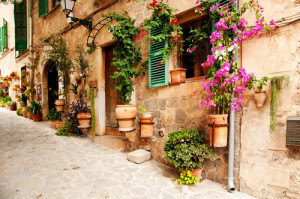 Explore the picturesque little lanes surrounding the massive Gothic cathedral down by the sea front, this is the old quarter, here you’ll find lots of quirky cafes and shops, and beautiful Barcelona-esque architecture. 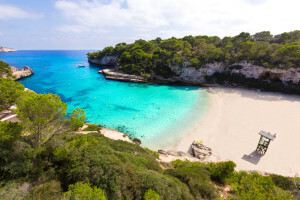 After breakfast, we will depart on the first leg of your luxury Balearics yacht charter adventure; a two hour cruise from Palma to “Es Trenc” for lunch on the anchor and a swim in the crystal clear waters off the white sand beach. Later this afternoon we will cruise another hour to the Nation Park island of Cabrera where you and your guests will dine aboard and enjoy an evening under the stars. In the park there are no hotels, houses, restaurants or cars…and so no lights at night! This morning we start the day with a dip in the park’s clean waters and enjoy a relaxed breakfast before we depart for Ibiza. 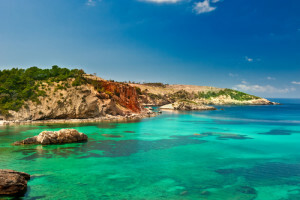 Third Choice: Cala Conta -fantastic sunsets and beach bar! 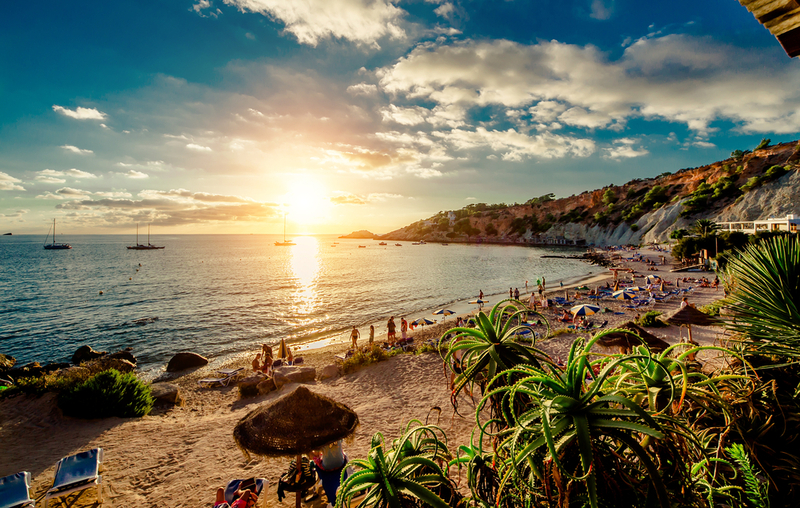 First Choice: Salinas – the trendiest beach bars in Ibiza! 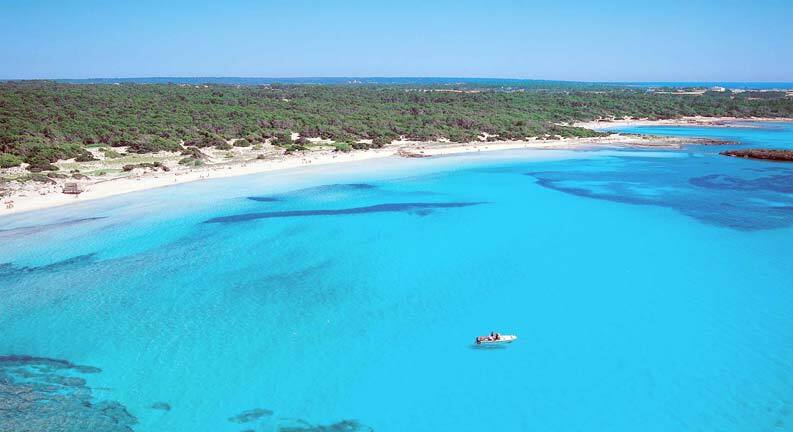 Second Choice: Espalmador – white sand beach, popular anchorage with some of the finest luxury yachts and two good beach restaurants. 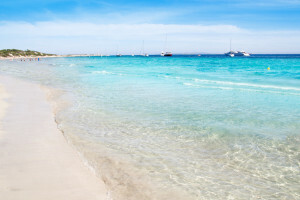 Third Choice: Formentera – lovely little island with beautiful beaches around the island and a little town with shops, bars and restaurants in a quaint tourist port. This is an unspoiled quiet anchorage on the north coast Ibiza port – perhaps a night or two in the infamous heart of the action for which Ibiza is world famous! 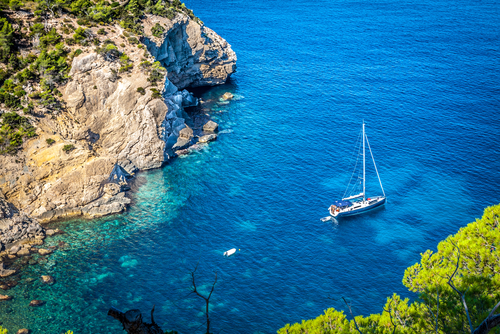 You’ll start the last day of your luxury yacht charter Balearics aboard your yacht with a leisurely swim and a tasty breakfast before the yacht cruises back to her home berth in Palma, where your transfer to the airport is organized for you. Please note this itinerary is subject to the weather. 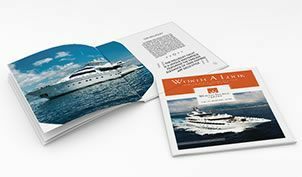 This Worth Avenue Yachts luxury yacht vacation itinerary is intended purely for guidance and is 100% customizable to your personal tastes. Our Luxury Charter Professionals can assist you in designing a tailor-made experience, on one of our charter yachts, catered specifically for you and your guests’ wishes. 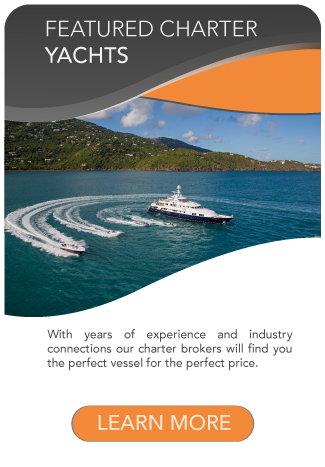 To find out more about our private yacht charter vacations, please fill out the contact form on the right, email us direct, or call us at one of our locations featured below. 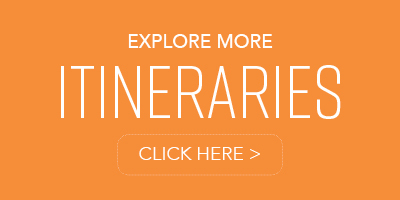 Let our charter professionals create a personalized itinerary for you and your guests based on your wishes. Fill out the form below to get started.